This was the second broadcast of Bushiroad Music Party. This was broadcast on a Japanese holiday, "Seijjin no Hi". 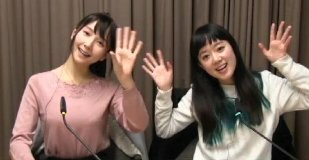 Sawako and Haruka talked about how it was a non-fixed date holiday. They played the song "Riot" by Raise a Suilen. Haruka said that she went to Germany during the New Year holidays. She said it was snowing a lot in Munich. Sawako said that Germany was the country that she wanted to go to the most. Sawako said the first CD that she bought herself was the opening song to Fruits Basket. But instead of the original version, it was the Horie Yui cover version. The first CD that Sawako had her parents buy for her was the opening song to Magic Knight Rayearth. The next song they played was "Wonderland Girl" by Pastel Palettes. This is the opening song to the TV anime Bermuda Triangle. The next song they played was "Scarlet Sky" by After Glow. 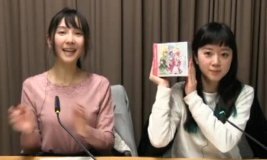 Sawako said she always plays Girls Band Party in omakase mode, where the system chooses the songs. She said she fell in love with the song "Scarlet Sky" the first time she heard it. At the end, they gave out lots of information about upcoming Bushiroad CDs and events. The Milky Holmes box set "Milky Parade" will go on sale 1/16. Haruka had a copy of the box and showed it.